This Excel tutorial explains how to use the COLUMN function with syntax and examples. The Microsoft Excel COLUMN function returns the column number of a cell reference. 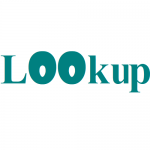 The COLUMN function is a built-in function in Excel that is categorized as a Lookup/Reference Function. It can be used as a worksheet function in Excel. 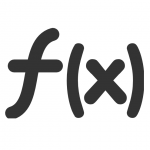 As a worksheet function, the COLUMN function can be entered as part of a formula in a cell of a worksheet. Explanation: The Excel COLUMN function returns the column number for a reference. For example, COLUMN(C5) returns 3, since C is the third column in the spreadsheet. 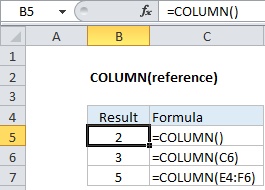 When no reference is provided, COLUMN returns the column number of the cell which contains the formula. The COLUMN function returns a numeric value.